Time Out / Seclusion Room Solutions. Time Out, also known as Seclusion Rooms, were approved for use for temporary restraint, short periods of detention. The student/patient is to be observed at all times. 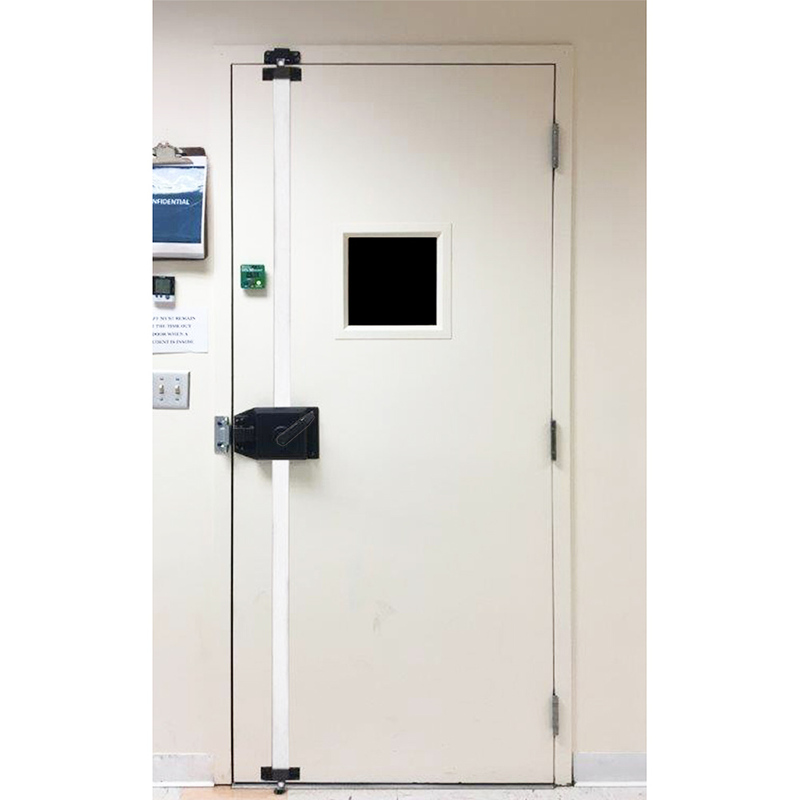 In order to ensure compliance with life-safety codes and prevent locking a student in the room, “Positive Pressure” locking was developed to require the constant presence of an authorized person. Removing pressure from the paddle or lever will unlock the door. Multi-point locking protects against “break-outs” and damage to the door and frame. MULTI-POINT LOCKING FOR TEMPORARY PATIENT CONTAINMENT. Temporary retraint multi-point locking spreads the force across the door and frame at top, center and bottom of the door, and is best suited for environments with adults and large children. 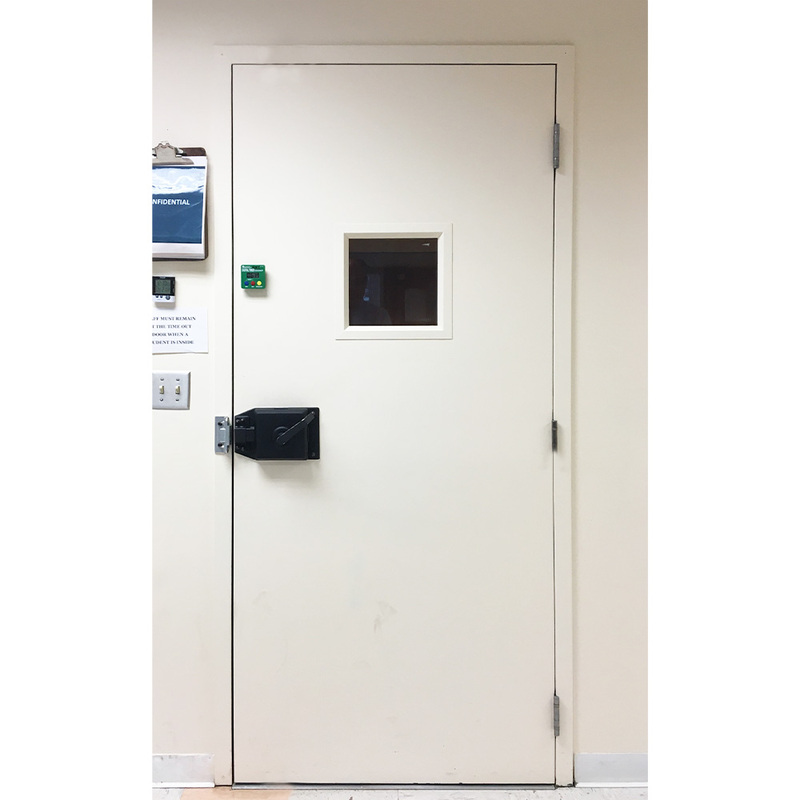 Single-point deadbolt locking for time out/seclusion rooms would be acceptable with smaller or less potentially violent patients. Local code requirements should be consulted prior to the installation of any time out/seclusion room lockset. 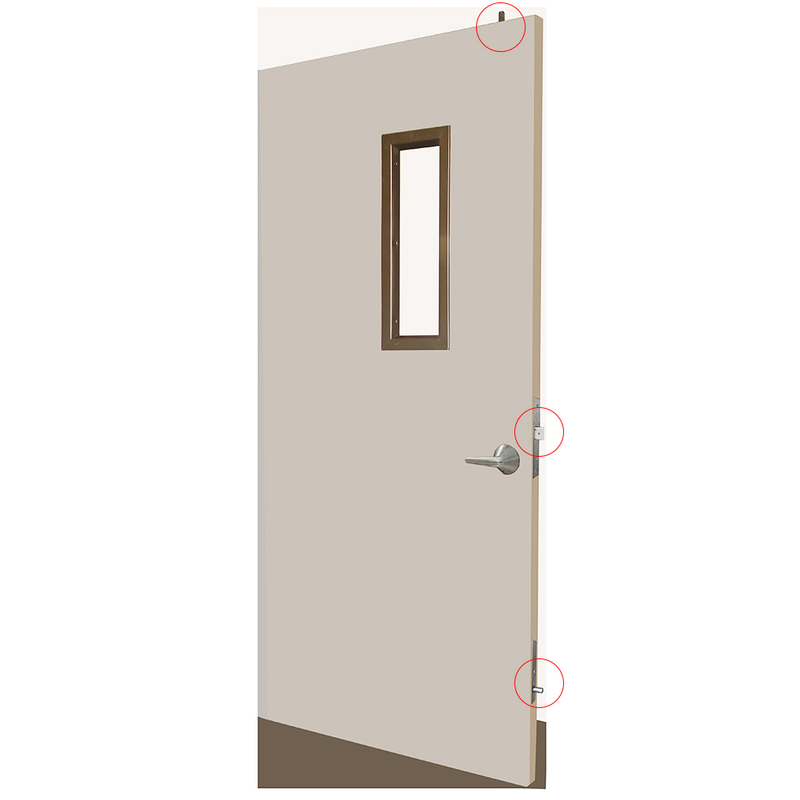 Latches are not recommended on these doors in order to prevent accidental locking in a room.